In 2001, he was accused of plotting to assassinate local authorities and stockpiling weapons and ammunition, including a machine gun. He eluded police by staging his own death and fled into the forest near Kalispell, Montana. He was arrested in 2002 following a shootout with the FBI and police. He was convicted and sentenced to seven years in prison. 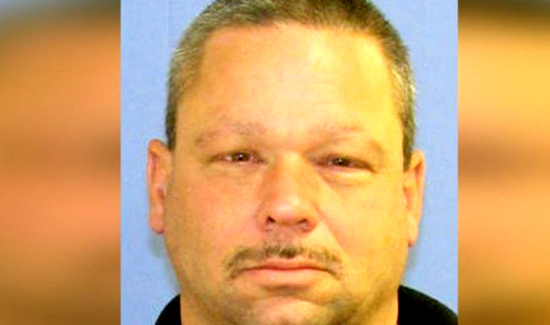 Burgert was paroled in 2010, and it wasn’t long before law enforcement was on his trail again. He led officers on a chase outside Lolo, Montana, then seemingly disappeared into the forest. Longtime Lolo resident Steve Bayha often takes his family to Fort Fizzle, a picnic site along the Lolo Trail. “I feel that it’s a pretty good community, where people have their eyes open,” he said. Some still keeping an eye on the woods, where the wanted militia man disappeared nearly six years ago. “I was actually quite keen on meeting him for a long time,” said Will Newsom. Newsom is a retired Missoula County Sheriff’s deputy. He says he has an unfinished conversation with Burgert. “The last conversation we had, we were shooting at each other,” he said. The initial call was not out of the ordinary: Newsom was called to check on a person who was camping in the area illegally. But the situation escalated quickly. Newsom could tell Burgert was taking him away from backup, and away from help. “This was going to be a gunfight,” Newsom said.